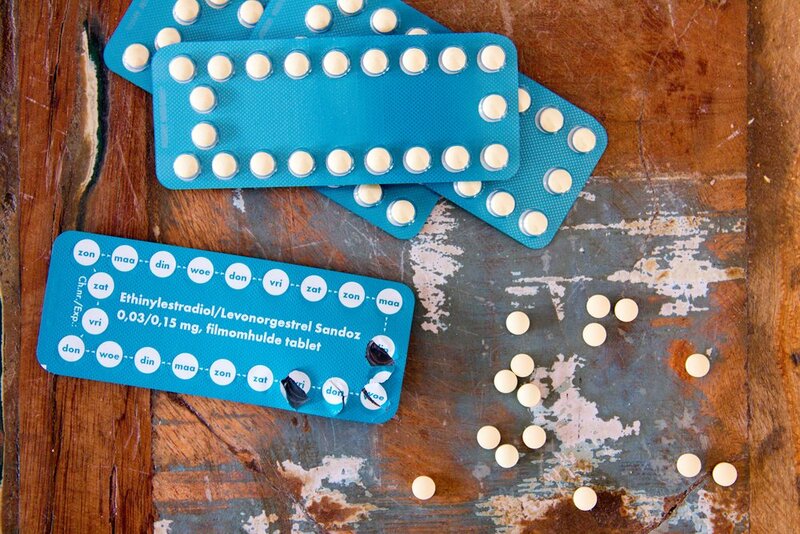 New guidelines came out in the UK last week stating that women do not need to take a monthly break from the pill. This has led to several conversations and articles about monthly bleeding on the pill and a good opportunity for education. Contrary to public belief, pill bleeds are not menstrual period bleeds. This bleeding should not be referred to as a menstrual period, but rather, a withdrawal bleed. It is occurring as a result of the drop in hormones during the last week of the birth control cycle (the placebo week) that causes the lining of the uterus to weaken enough to allow bleeding to occur. The purpose of the pill is to prevent ovulation, and without ovulation one can’t have a true menstrual bleed. Ovulation on the pill is prevented through the suppression of gonadotropin hormonal pathways. The decrease in FSH and LH means there is no estrogen surge, and no LH surge, thus no ovulation. It has been described as akin to inducing a pregnancy-like hormonal state for the 3 weeks before the placebo week is used. So why the placebo week? Apparently the developers felt that women would feel more comfortable having a monthly bleed as it mimics the natural menstrual cycle more closely, and gave them a break from the high doses of hormones that were used at that time. It was thought that women might not like the idea of skipping the monthly period, especially when it was seen as proof that they were not pregnant. Furthermore, it was theorized that there would be less religious objection to this form of contraception with a monthly bleed. Overtime, certain forms of the pill have been marketed to have shorter withdrawal bleeds, or even extended-cycle regimens that can be taken for up to a year to stop all menstrual bleeding. With this announcement, it’s likely that the options and conversations around this will continue. Is this a good thing? Many women don’t understand their menstrual cycle or what the pill does to prevent cycles, so my hope would be that this stimulates women to ask questions and get informed. Combined hormonal contraception (the pill) is a very effective way to prevent pregnancy, but too often it’s being used to ‘regulate’ hormones, which it is not in fact doing, it is suppressing hormonal pathways. For some hormonal pictures, it can be an effective treatment to manage symptoms, but in the majority of cases, it’s not changing the overall hormonal picture. For most women, a monthly menstrual period is a very valuable and health-promoting thing. Your body makes its own estrogen and progesterone for many reasons. Unfortunately, we don’t give women with heavy, irregular, or painful menstrual cycles, or significant premenstrual symptoms, enough alternative options for treatment. Furthermore as a society, we often shame menstruation. This concerns me for young women who may not understand the benefits of the menstrual cycle and just don’t want to be bothered with bleeding, but have no other reason to be on combined hormonal contraception. What are your thoughts? Did you know that a withdrawal bleed is different than a hormonal menstrual bleed? Looking to learn more about your own period? Book an appointment or start reading about the basics here!